In 1970 he began studying dogmatic theology at the University of Rome and later earned his licentiate in systematic theology from the Université catholique de Louvain in Belgium. Father Jolly wrote more than 20 books on the social life and the church in Dominica and was a regular newspaper columnist. In 1993 he received the Meritorious Service Award, Dominica’s second highest award, and later the Golden Drum Award. 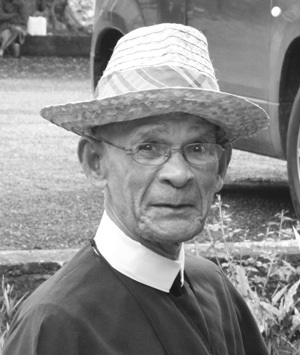 He served in many parishes on the island.